Permanent makeup is London’s answer to feeling confident every day. Treatments involve aesthetic procedures including hair stroke eyebrows, lip liner and eyeliner. Many studios also offer medical micropigmentation including scar camouflage and vitiligo treatment. Eyebrows are one of the most popular choices of treatment, not only do they add definition to your face, but the hair stroke eyebrow procedure gives you the most natural looking eyebrow possible, whilst framing your eyes. These brows are suitable if you want to reconstruct your face by defining your brows. Stylists use machinery that helps to build delicate, hair like strokes so you are left with long lasting, natural eyebrows. We recommend the expertise of Natural Enhancement, based in Kew, West London. They have a gifted and experienced team of stylists who are passionate about giving you the treatment you deserve. Each procedure is tailored to every client so your treatment will compliment unique features. Find out more. If you prefer a much more defined brow, then ombre eyebrows is for you. You can have full, harmonious eyebrows to make you appear younger and even more beautiful. Ombre brows have a gradient effect and help to boost your natural arch to create a better shape. Click here to find out about the device used. Permanent lip colour can help to improve the appearance of any lips. It can make lips look much more defined without going through surgery or having lip fillers, and can restore colour to lips where the natural colourings have faded over the years. No need to over line your lips anymore, as tattooed lip liner helps to correct the symmetry of lips making them look luscious and defined. See: 10 Things To Know. Tattooed eyeliner can do a number of things for the face. It can create the illusion of larger eyes, thicker lashes, as well as enhancing the eye colour. Make your daily makeup seem extravagant with eyeliner as thick and bold as you like. Find out about other cosmetic treatments. 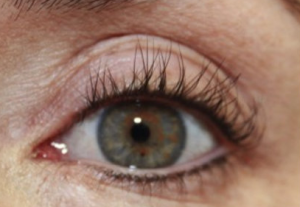 Having semi permanent eyeliner means no more difficult application, smudging or tough removal at the end of the day. A long lasting and efficient solution.